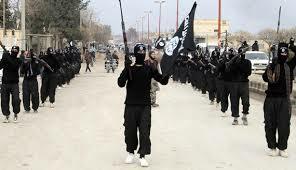 A US-led raid on the compound housing the Islamic State’s ‘chief financial officer’ produced evidence that Turkish officials directly dealt with ranking ISIS members, Martin Chulov ofthe Guardian reported recently. Islamic State official Abu Sayyaf was responsible for directing the terror army’s oil and gas operations in Syria. 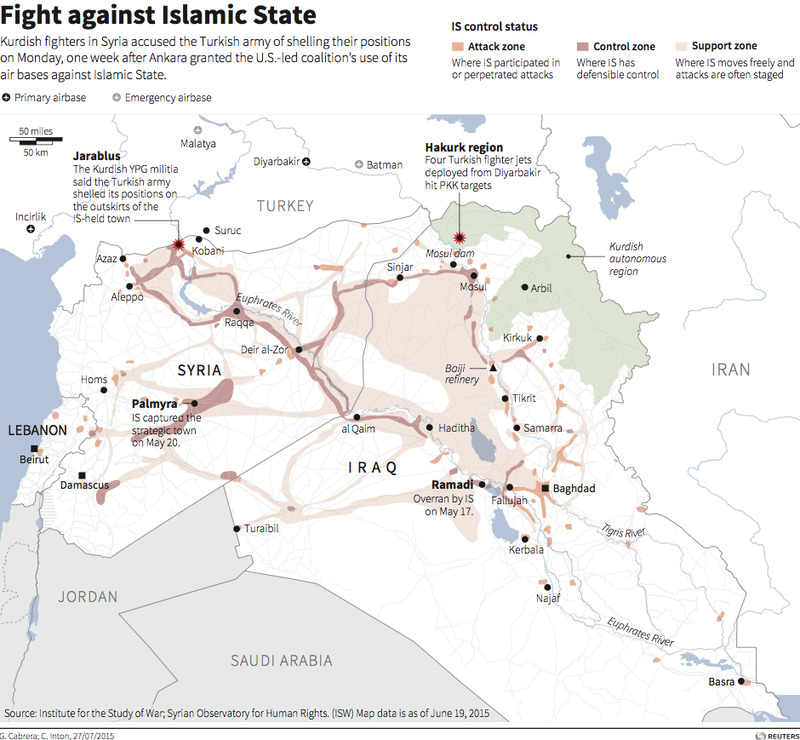 Islamic State (aka ISIS, ISIL, or Daesh) earns up to $US10 million per month selling oil on black markets. Documents and flash drives seized during the Sayyaf raid reportedly revealed links “so clear” and “undeniable” between Turkey and ISIS “that they could end up having profound policy implications for the relationship between us and Ankara,” a senior western official familiar with the captured intelligence told the Guardian. The move by the ruling AKP party was apparently part of ongoing attempts to trigger the downfall of Syrian President Bashar al-Assad’s regime. In November, a former ISIS member told Newsweek that the group was essentially given free reign by Turkey’s army. “The longer this has persisted, the more difficult it has become for the Turks to crack down [on ISIS] because there is the risk of a counter strike, of blowback,” Jonathan Schanzer, a former counterterrorism analyst for the US Treasury Department, explained to Business Insider in November. “You have a lot of people now that are invested in the business of extremism in Turkey,” Schanzer added. “If you start to challenge that, it raises significant questions of whether” the militants, their benefactors, and other war profiteers would tolerate the crackdown. 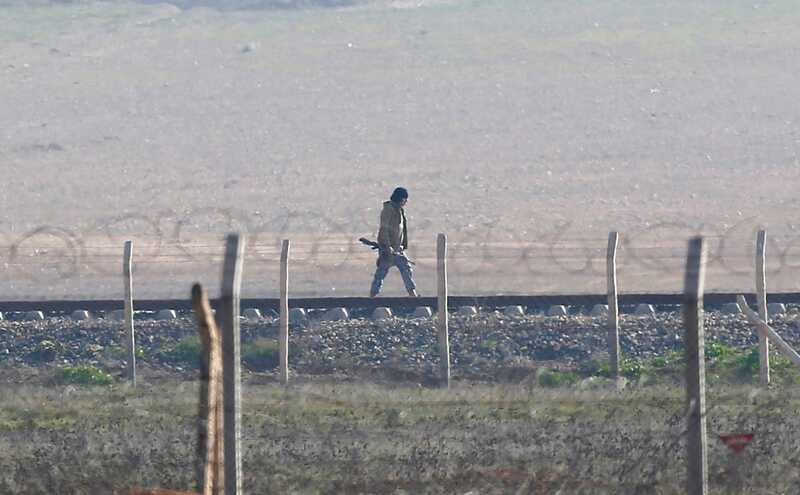 REUTERS/Osman OrsalAn armed man, believed to be an Islamic state militant, is seen near the northern Syrian town of Tal Abyad as he is pictured from the Turkish border town of Akcakale, southeastern Sanliurfa province January 29, 2015. Ankara had begun to address the problem in earnest — arresting 500 suspected extremists over the past six months as they crossed the border and raiding the homes of others — when an ISIS-affiliated suicide bomber killed 32 activists in Turkey’s southeast on July 20. 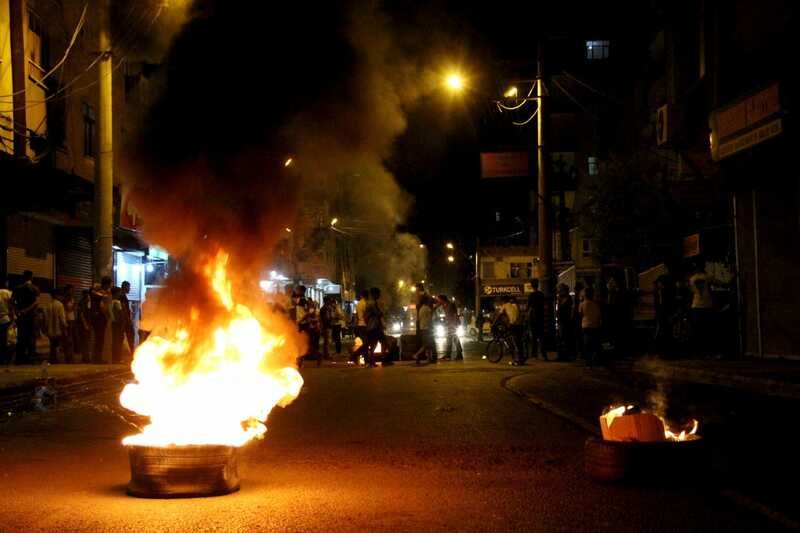 REUTERS/Sertac KayarDemonstrators burn tyres to block a street during protests against Monday’s bomb attack in Suruc, in the Kurdish dominated southeastern city of Diyarbakir, Turkey, July 21, 2015. Amidst protestors’ chants of “Murderous ISIL, collaborator AKP,” Erdogan finally agreed last Thursday to enter the US-led campaign against ISIS, sending fighter jets into Syria and granting the US strategic use of a key airbase in the southeast to launch airstrikes. At the same time, Turkey began bombing Kurdish PKK shelters and storage facilities in northern Iraq, the AP reported, indicating that the AKP still sees Kurdish advances as a major — if not the biggest — threat, despite the Kurds’ battlefield successes against ISIS in northern Syria.